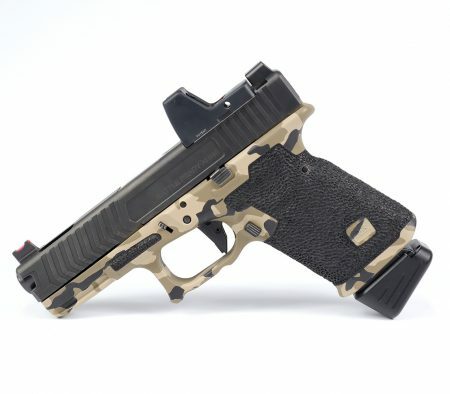 Battle Ready Arms has put together several Glock stippling and frame work packages with various options that can be changed, removed, or added to accommodate all shooters needs. Each package is meticulously done by hand. Every cut, grind, and polish is done by hand. Machines are fast, but they cannot duplicate hand tuning. An example is our undercuts. Our undercuts are rounded and smoothed not only for comfort, but also to maximize strength. Our undercuts are are virtually impossible to do unless done by hand. We do not take shortcuts. We carefully carve and smooth out every single cut. It is not the fastest way, but it is the best and most ergonomic way. 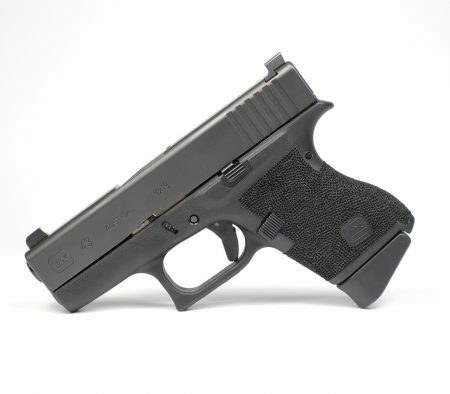 Undercut and reprofiled trigger guards for increased comfort and a higher grip for better recoil control. 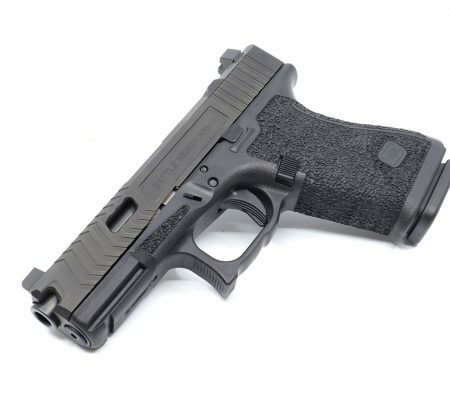 Thumb index points for greater recoil control with a thumbs forward grip (these can be rid of for a reduced price). 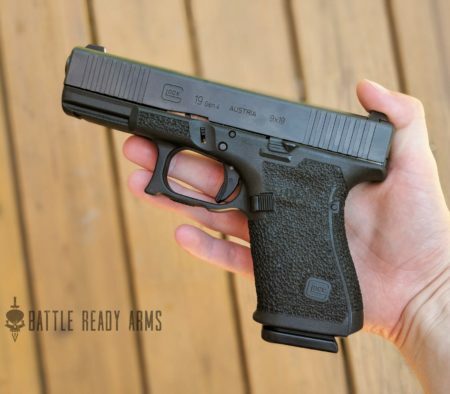 360 degree stippling for a superior grip in the most adverse conditions. I highly suggest viewing Modifications & Information page. It provides pictures and information for many of the modifications offered. If you need help or wish to inquire about something custom please contact us.